Renowned, respected, and yet another superior edition to their legacy. The number of quality releases issued by Frontiers Records just lately shows no sign of abating. This latest release keeps that record going. With the combined talents of Bobby Kimball (Toto) and Jimi Jamison (Survivor) on vocals and possible egos to suit it can sometimes be a risk to collaborate on a project, but it can also turn out to be a masterstroke. As it happens though, Bobby and Jimi are long time friends and have been singing live together with the ‘Legends Of Rock’ and the ‘Voices Of Classic Rock’, which consist of singers and musicians from very popular Classic Rock groups. And with the majority of the songs penned by the likes of Richard Page (Mr Mister), Jim Peterik, Randy Goodrum (Steve Perry/Toto), John Waite, Erik Martensson (W.E.T.) and Robert Sall (Work Of Art) among others around the four minute mark it allows them to pitch the songs to the listener in an immediate and stylistic fashion. With Alex Beyrodt handling guitar duties, Matt Sinner on bass, keyboards supplied by Jimmy Kresic and Martin Schmidt performing drum and percussion duties, all that remains is to hear if the sum total of the players is equal to the nett result. 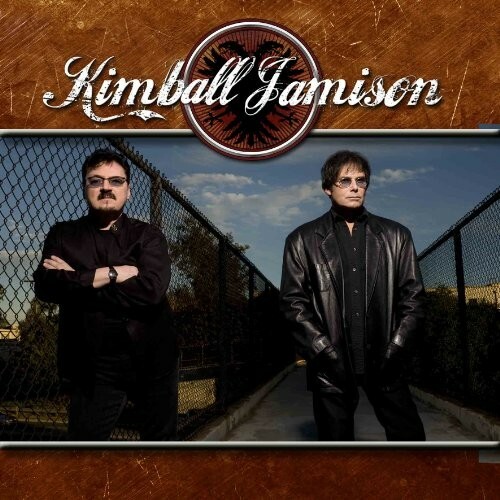 Kimball and Jamison take it in turns to sing the verses in general before combining on the chorus and their different distinctive voices make it easy to identify their respective contributions. The album opens up with a very familiar Survivor influence pervading the staccato guitar and keyboard riff on ‘Worth Fighting For’ with a lovely melodic tone on the solo to suit. 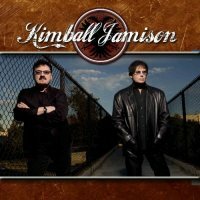 It pretty much sets the standard for this project as the more urgent, faster paced rockers are definitely where these guys excel, such as ‘Get Back In The Game’ which has a jaunty rhythmic vibe to it and a nice fuzz tone guitar solo to accompany, or ‘Hearts Beat Again’ where Kimball and Jamison really get to stretch themselves vocally combining with nice fluid solos mid song and end. It’s the slower numbers that tend to disappoint though when so much is expected. Maybe I’m being harsh but the likes of piano based ballad ‘Find Another Way’ tends to meander towards a predictable finish and ‘We Gotta Believe’ with its nice smooth harmonies can be best described as inoffensive when you want it to be magnificent. But there’s plenty of great classy songs to cut your teeth on in any case. For example ‘Can’t Wait For Love’ has a beautiful recurring keyboard refrain and lovely hummable chorus and short but very sweet solo. I just love the way this song begins! ‘Chasing Euphoria’, a fast paced rocker has great vocal interchanging between the two protagonists and a chorus that will stick in your mind for days to come. I particularly liked the harmonic pentatonic scales displayed on the soloing by Beyrodt. There’s also some great classy vocal performances by messrs Kimball and Jamison on the mid-tempo rocker ‘I Did Everything Wrong’. A very mature sounding song that chugs along on a punchy rhythmic beat. And then you have ‘Kicking And Screaming’ with a hint of Bon Jovi’s ‘Born To Be My Baby’ imbued in its structure featuring urgent impassioned vocals and another excellent solo. All in all, Toto and Survivor fans will lap this up. The production, by Matt Sinner, ably assisted by Jimmy Kresic, (both doing double duty) is first class, a very clean, crisp and warm sound, finely mixed to showcase the superbly talented musicians’ performances. As I said at the beginning, another top notch Frontiers release, they really are becoming the melodic rock artists signing of choice and it appears that quality rather than quantity is of paramount importance. Bobby Kimball. Jimi Jamison. Renowned, respected, and yet another superior edition to their legacy.